By Melissa 6 Comments - The content of this website often contains affiliate links and I may be compensated if you buy through those links (at no cost to you!). Learn more about how we make money. Last edited January 12, 2015 . Are you struggling to make ends meet? Do you have debt that you’d like to pay off? Are you looking at 2015 and hoping it will be a better year financially than last year? If so, I completely understand. I’m hoping for the same thing. But changing your financial life takes more than just hoping—it takes action. One of the best action steps you can take to improve your financial life isn’t what you’d expect. I’m not going to suggest that you give up Starbucks or get a second job or get gazelle intense, though doing those things could help your financial situation. Nope. I’m going to suggest something completely different. This year, surround yourself with people who are wise with their money. Surround yourself with people who handle their money the way you’d like to handle yours. When I was in college, I was a bit of a spendthrift. I had grown up equating eating out with having fun and relaxing, so I often wanted to eat out with friends, even though I had little money. I had two friends, however, who were much more financially conservative. They often preferred to cook meals at home and relax and hang out that way. They subtly (and sometimes not so subtly) pressured me to not spend money and to have fun eating in. They were a good influence on me, and I still remember what I learned from them. Those are the kind of friends you want to surround yourself with when you’ve decided to be wise with your money. Most of the time, however, we surround ourselves with spendthrifts. Of course, this isn’t hard to do since so many families have two incomes and so many people have debt. Yet, keeping only spendthrift friends can be discouraging. You may have to say no to expensive entertainment like dinner and a movie. When my husband and I were first married, we went out with two of my colleagues and their husbands. Both couples had dual incomes and had no kids at home. My husband and I were surviving on my entry level salary while he went through graduate school. We were just scraping by. The couples chose to eat at a pricey Mexican restaurant, and I almost cried when I saw the bill. We never could afford to go out with them again. Sadly, finding people who are wise with their money is increasingly more difficult. However, even if you can’t find people in your life, there are still ways to surround yourself with those who are passionate about making smart money decisions. One technique is to read blogs (like this one!) and to participate by leaving comments and interacting with other readers on the site. Some blogs even have forums attached, so you can regularly chat with others and share tips and techniques for being responsible with your money. You can also look for online groups. When I first became a stay at home mom, there was a frugal community that I participated in every day, and I learned plenty of ways to conserve my money. When you learn there are others who are fiscally responsible, you may want to emulate them (rather than your spendthrift friends and family). You will likely become more responsible with your money, and you may even go further and find more ways to donate your money and help others. This year, take the time to surround yourself with people who are responsible with their money, and you’ll be amazed how much your own financial life improves. 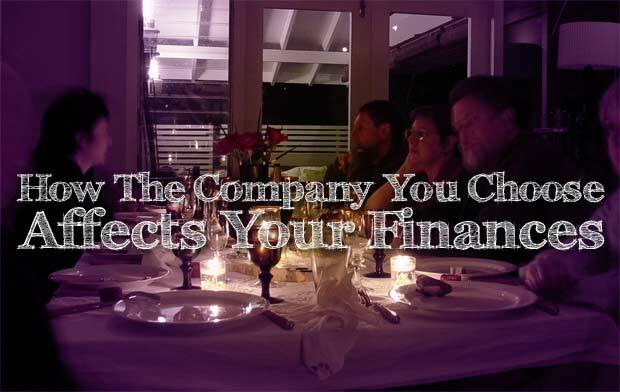 Do your friends and family reflect your financial values? If they don't, how do you find those who do? 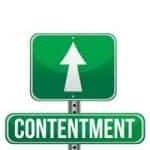 What strategies do you use to find contentment in your own financial situation? Last Edited: 12th January 2015 The content of biblemoneymatters.com is for general information purposes only and does not constitute professional advice. Visitors to biblemoneymatters.com should not act upon the content or information without first seeking appropriate professional advice. In accordance with the latest FTC guidelines, we declare that we have a financial relationship with every company mentioned on this site. This is SO TRUE. Some people, who are reckless with their spending, can also influence us to be reckless as well (I have been there, unfortunately). In the past years I was more careful to who I was spending more time with and what their views on money were. Of course, if we talk family or someone who’s still important in my life, I’d try to at least NOT let them influence me with their views (which are wrong in my opinion). Community is essential! I am lucky to have friends who are in the same financial situation I am, or if not at least I am comfortable telling them about my debt, my savings plans, and my goals. There are definitely activities I avoid with certain people, though — I have a few friends who love to shop, and I know I will end up spending money I don’t need to if I visit the mall with them! Melissa, this is SO true. Very few of our friends or family members are frugal like we are, and it can be tough sometimes. Not so much for me, as I’m immersed in the PF blogging world, where frugality is akin to Godliness ;-) , but especially for my hubby, as nearly everyone around him spends as if it were going out of style. Luckily, the picture we have in our minds of being debt free trumps our desire to waste money. Financial problems can take an emotional toll on our own well being, adding stress and anxiety to our lives. The best way to avoid such troubles is to have a network of trusted and responsible people in your life whom you can have candid conversations with about your personal finances. These could relatives, friends, financial advisors, pastors, etc. Pick people with the right balance between being close enough to care about your well being, but detached enough to not be directly influenced by your decisions. That way they can give you honest, unbiased advice. 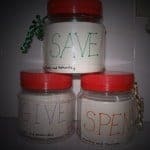 I have a few coworkers with whom I can talk about saving money. One reformed spendthrift will seek me out to talk. I have never been a flashy spender, and spend with purpose. Some of them are coming around. When spendthrifts try to put social pressure on me, I just tell them, I spend with purpose, and save as much money as I can. It provides me funds for emergencies, and to be able to do special things for my life. I just replaced a 21 yr old truck with a new one. I paid cash. It opened up a few more doors for me to discretely talk about saving money. I hope to go to Scotland in September for 2 weeks, and will pay cash. It is beginning to open up eyes, and opportunities for discussion. I totally agree with this article but if I may say so it is also important to change your thought process and commit to changing your financial future. I believe once you commit to change then you will seek out these types of people who can and will guide you into financial freedom. I too was stuck in the paycheck to paycheck game for about 20 years and I only changed when I committed to changing my life and the way I handled money. I read books, read blogs like this one, seeked out people who did well with their own finances and basically changed my circle of friends. I have since become consumer debt free and so empowered that I felt the need to begin my own blog to help others reach the same financial freedom I enjoy today.